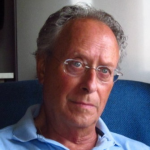 World Poetry Celebrates the Talented Diego Bastinutti ! 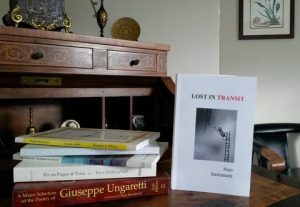 The World Poetry Café Radio Show welcomed our popular co-host and noted author Diego Bastianutti , November 29 , 1:00 PM PST in a special launch of his new book, Lost in Transit now available on Amazon. It shows the effect on changing countries as well as when he met his wife, she rescued him from being lost. Also on the show, at 1:40 PM PST Darrel Katz with his new CD, Rats on No Evil Star , a beautiful combination of music and a tribute to his late wife the talented poet Paula Tatarunis . The opening poem ACADEMIC TESTS by Sahaj Sabharwal, who is a student. He writes: “I love writing poems and thoughts. I am from Jammu city, Jammu and Kashmir, India.” His poem was read by our great tech Victor Schwartzman who keeps our show on the air. We would also like to welcome three new countries to our listening audience: Bhutan, Melawi and Kazakhstan bringing our total to 118. Diego Bastianutti, from Fiume, Italy, has crossed many borders separating States as well as “states of being.” He is at ease with various languages and cultures. A retired Professor of Spanish and Italian literature, and former Honorary Vice Consul of Italy.The recent joint exhibition on the theme of Vancouver Downtown Eastside has been received in Vancouver and in Italy with deep sensitivity and appreciation. This entry was posted in Ariadne's Notes, E-Poets, Featured musicians and artists., Featured Poets, General, Radio Show and tagged Author Sharon Rowe, Darrel Katz, Diego Bastianutti, International Peace Award Ariadne Sawyer, Lost In Transit, Sahaj Sabharwal, Victor Schwartzman on December 2, 2018 by Ariadne.